Yangon – Myanmar has adopted new laws restricting religious conversion and interfaith marriage, the government said Saturday, despite objections by the United States and human rights activists. The Buddhist Women’s Special Marriage Bill and the Religious Conversion Bill, drafted under pressure from hard-line Buddhist monks with a staunchly anti-Muslim agenda, were signed by President Thein Sein, the Ministry of Information said. The two bills were approved by parliament last week before being sent to the president. The Religious Conversion Law requires anyone who chooses to change their religion to apply with a district level “registration board,” submit to an interview and a 90-day waiting period. The Special Marriage Law allows local registrars to publicly post marriage applications for 14 days, during which time any objections to the proposed union can be taken to court. A couple may only get married if there are no objections. Failure to comply is punishable by a 30-month jail term. Buddhist women under 20 years old would also require parental consent to marry a non-Buddhist. The law is a deliberate attempt to curb interfaith marriages, according to Human Rights Watch. 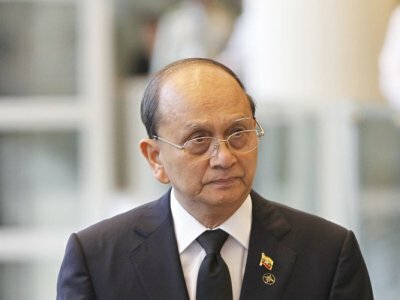 In May, Thein Sein enacted the Population Control Health Care Bill requiring mothers in some regions of the country to space their children at least three years apart. The president's office has sent back a polygamy bill with some amendments to parliament, said a minister at the office. “The president hopes to enact all four laws during his term because it is the desire of the Myanmar people,” said a senior official on condition of anonymity. The four controversial religion bills, part of a package of so-called Laws to Protect Race and Religion, were proposed by the Buddhist nationalist group 969 in June 2013. Myanmar has suffered inter-communal tensions in many parts of the country after a conflict between ethnic Rakhine Buddhists and Rohingya Muslims in mid-2012.